Big beasts: The Bay Area has two-thirds of the largest unicorns in the U.S.
Unicorns are stampeding across the Bay Area. 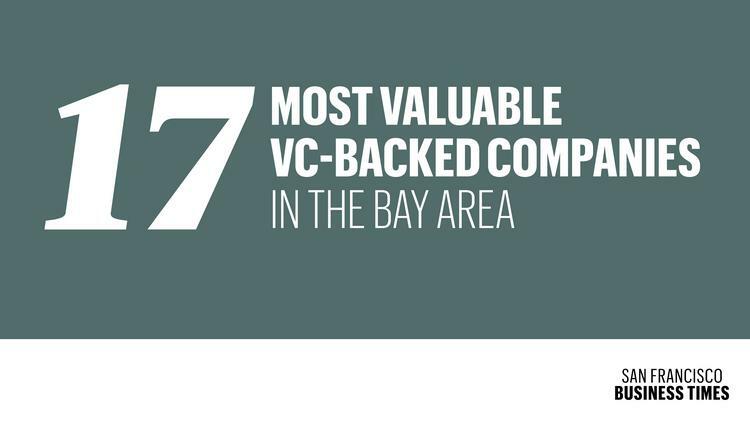 Of the 25 most valuable unicorns backed by venture capitalists in the U.S., 17 are based in the Bay Area, according to PitchBook. “In the last 10 years, there has been no better place in the world than the San Francisco Bay Area to create large disruptive unicorns,” said Venky Ganesan, partner with Menlo Ventures. He cited three top reasons why the Bay Area is fertile ground for raising unicorns. John Somorjai, executive vice president of corporate development and Salesforce Ventures at Salesforce, also cited the region’s rich ecosystem as contributing to the large number of unicorns. “The San Francisco Bay Area is rich with innovation. Research universities, including Stanford, UC Berkeley, and UCSF have given rise to many leading entrepreneurs that have created the successful technology companies of today, and will continue to build the innovative startups of the future,” said Somorjai. He added these companies create ecosystems around them. They invest in their employees, who eventually go off to found startups of their own, creating a network effect of advisors and ideas. “All of this attracts the leading venture capital firms to call the Bay Area home,” Somorjai said. The unicorn nickname is generally applied to companies with a valuation of at least $1 billion. But it takes a valuation of at least $4 billion to make the national top 25. As expected, Uber is the biggest unicorn of all — locally, nationally and in the world. Instacart and Tanium are local newcomers to the list. Both were added after PitchBook ranked the 30 most valuable VC-backed startups in the world in May, which required startups to have a valuation of $5 billion or more. Instacart raised its full Series F round in July, which put it at a $7.6 billion valuation market. Meanwhile, Tanium’s recent $200 million funding round boosted its valuation to $6.5 billion. A half dozen Bay Area startups are also on the newly released top 25 list that were not on the top global 30 list, because this list dips down to valuations of $4 billion. Take a peek at who these mega unicorns are.